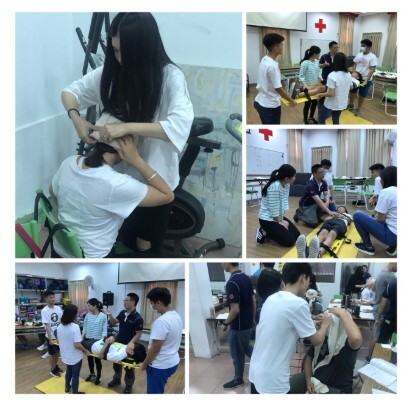 Sept. 15-16, 5 of our AST Red Cross members took part in the first aid training hosted by Taichung Red Cross. They passed the exam and became certified first aid personnel. Not only did these students learn knowledge about first aid, but they can also provide assistance when there is an emergency situation! We encourage high school students to participate in this kind of training because it will benefit everyone as well as themselves!